Have u heard of TR90? yes, it's a slimming products and quiet effective. Plenty of water and exercise definitely helps. C9 aloe diet weight management. Yes agreee!! Actually by just drinking water will help a lot. Try to try at least 2-3 liters of water a day! Water helps with detoxification. I have been doing that. By doing so, it also helps to improve your complexion. 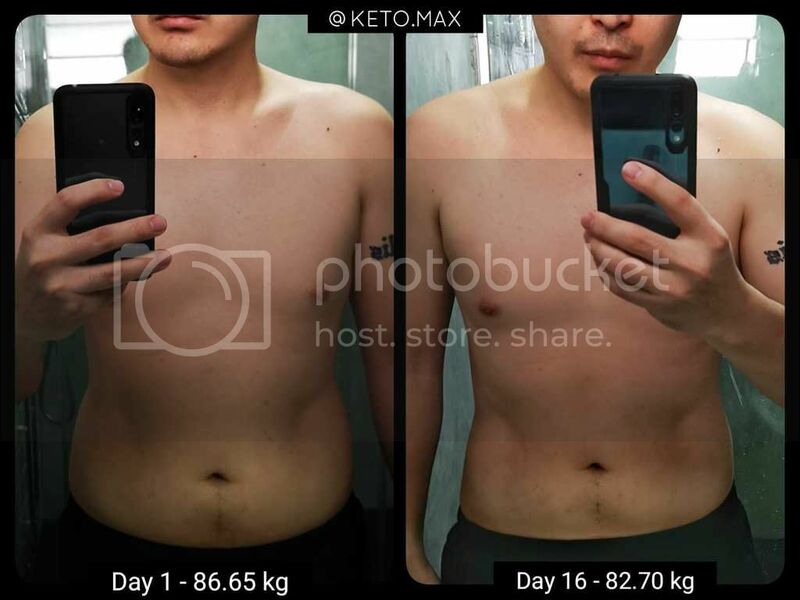 Btw, have you all heard of Keto Diet and Pruvit Supplement? My hubby tried it recently and got pretty amazing results. He used a more detailed weighing scale to track his fat percentage, water and muscle mass and they are all improving! Overall, he really looked better, have more energy and better health! Here is his before-after pics just 2 weeks after trying. Prior to this, he was gymming 5 times a week and getting no results. I am just quite amazed by the results and thought I would like to share. While I am relatively an okay weight, I was never satisfied with my body. I could eat oats and cereal the whole day, exercise 5 times a week and I'm very obsessed with weight loss. It is really unhealthy. Couldn't believe it! And without having to starve or exercise obsessively! If I am not wrong, actress Apple Hong is also on this. If anyone is keen to find out more, can PM me At the end of the day, it is about doing this smart - good diet and moderate exercise is always beneficial for health!